The library of the Institute of Plant Science and Resources (IPSR) was founded as part of Ohara Institute for Agricultural Research in 1921. After changes in 1951-1952, and institute transfer to Okayama University, the branch library continued its service as one of the very important information resources at Okayama University. In nearly 100-year-long history, the library collected approximately 190,000 materials that include books, scientific periodicals and collection of rare books. 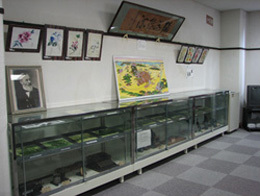 In the field of agriculture and biology, the IPSR Branch Library collection is considered as one of the most complete in Japan. Since its establishment, the library provides regular services to researchers at national level, and responds to frequent requests for photocopying and information about deposited materials. Rare book collection: Click here to see more about Wilhelm Pfeffer’s collection, Ohara collections of books related to early Chinese agriculture and Japanese agricultural books. 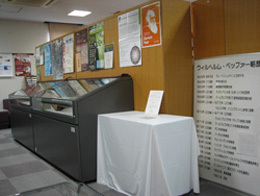 Some of rare books are exhibited in 1st floor. No entrance fee required.